Lokatie Paseban Beach: plm 52 km ten zuidwesten van Jember. Vanuit Jember is het ongeveer 1,5 uur rijden met de auto. Paseban Beach is one of the tourism locations which lies 52 about km southwest of Jember. The visitors can enjoy the splashing waves and the pristine white sand. 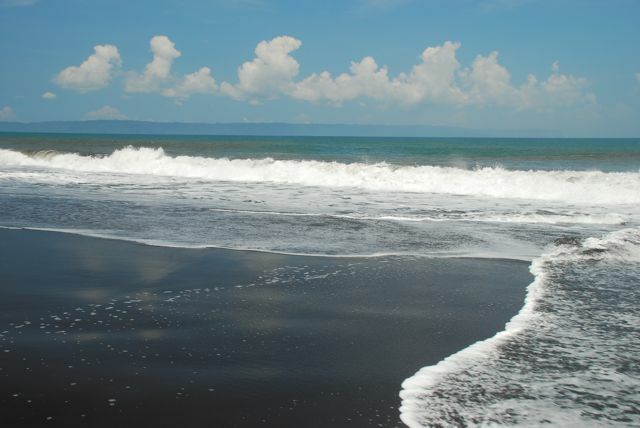 Visitors also can swimm at Paseban beach because it has calm waves. This beach is often visited by domestic tourists. Visitors can do kinds of activities here, such as: swimming, sunbathing, fishing, etc. The people around the coastal area are often hold a rite especially for “Suro month” and celebrate it by making a tent.